It looks like Barbie's after a My Little Pony. Industry giants Mattel and Hasbro aren't taking Lego's resurgence as a top toy maker lying down. 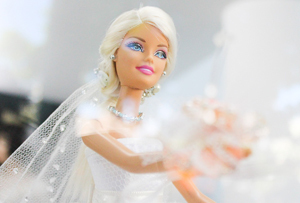 The two firms are reportedly in talks discussing a prospective merger after Hasbro approached the Barbie manufacturer late last year. The firms have since been engaged in on-and-off talks about a deal according to Bloomberg, though as yet there were no further details as to how the transaction might be structured. Recently, Mattel has been struggling to re-engage with children's changing preferences. The firm didn't play around after reporting a 59% collapse in profits last year; its chief exec Bryan Stockton was promptly given the boot. Current boss Chris Sinclair might yet throw his toys out the pram as he attempts the difficult task of making lost market share to Lego as well as Hasbro. A recent unveiling of ‘the evolution of Barbie’ with 33 new looks, including different body sizes as a very delayed response to years of criticism about the doll's unrealistic shape, has been a first step in trying to reinvent the beleaguered brand. Worldwide Barbie sales did rise for the first time in more than two years during the fourth quarter, but the firm has had stumbling blocks. On the other side, Hasbro now has a triple whammy of lucrative licences – it picked up the rights to Disney’s cash cows Frozen and Princess brands and it also owns the licence for Star Wars: The Force Awakens, which has already provided a welcome boost to the cinema industry. Hasbro said back in October sales were already ‘off to a strong start’ and revenue is forecast to increase to around $4.4bn from $4.3bn in 2014 when it reveals full-year earnings next week. While these talks are a sign of Mattel’s desire to reassert itself, they also signal an acknowledgement that a joint force could be a much stronger competitor to tackle Lego’s solid foundations. The Danish firm has been growing faster than both of the US companies and was dubbed the world’s most powerful brand ahead of Ferrari, by consultancy Brand Finance last year. Previous talks of a merger came around 20 years ago and the scene was rather different then – Mattel withdrew a $5.2bn (£3.5bn) offer for Hasbro, as relations between the two broke down. This latest news has had a positive effect on shares in both companies – Mattel’s rose by as much as 8.2% (an 18-month high of $34.36), while Hasbro’s jumped 4.6%. It’s still very much in the early stages though – a merger may yet face a tricky competition review, depending on how officials define the market. Until then, both companies will be playing nice as they assess just how the move could pan out.